Minimise your work costs with the help of the new DPMS 0.1W feature*. It ensures that your Samsung Business monitor (SC650/ SC450/ SC200) only consumes a maximum of 0.1 Watts while in standby mode. This amazingly low consumption is beneficial both financially and environmentally, and is simply unmatched by competitors. *This feature is not available for DP (Display Port) models. 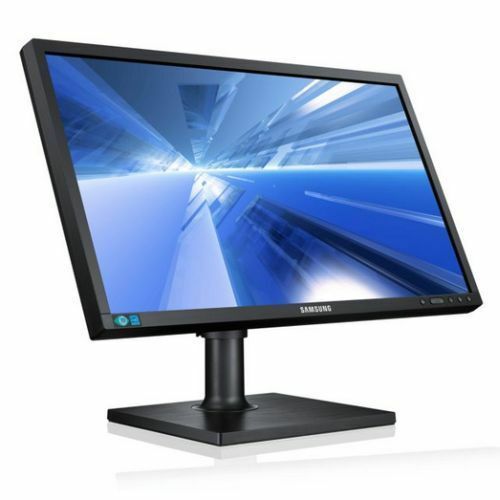 If you need a work monitor that uses office space efficiently, then Samsung LED Business Monitor SC650/SC450 is the perfect choice. From physically moving the monitor with the carrying handle to quickly installing, the SC650/SC450 is ready to deliver an efficient and clean work space. Optimizing your office space is now easily achieved with the Samsung LED Business Monitor SC650/SC450. Change your monitor perspective using Samsung’s innovative Pivot feature. It allows you to rotate your screen up to 90 degrees to match your exact viewing needs. Samsung’s Swivel functionality ensures that the monitor can be easily and quickly re-adjusted, and is extremely useful when working in groups. Samsung Business Monitors (SC650/SC450) embrace the green movement by using some recycled plastics during the manufacturing process.